Wednesday 22nd June at 6.30pm. Wednesday training continued with great numbers wheely enjoying cycling, out getting fit and healthy were Michelle Gammell, Marie Hartnett, Mary McCarthy, Ger Finn, Jerry Ryan, Willie McCarthy, Stephen O Meara, Adrian Gammell, Mike Gammell (Group Leader) Liam Duggan, Brian O Shea, Jonathan Moloney, Daithi Creedon, Stephen Finn, Shane O Brien, Paul O Connell, Paul Ahern, Cathal Casey, Owen Tobin. Group would like to thank Michael (Group Leader) for doing a great job. Saturday 25th June Beginners / Improvers cycle continued at 9.30am. This is a chance for new cyclists to start cycling at your pace in a small friendly group on flat roads. Large groups can be a bit intimating for a new cyclist and Southside Wheely Wheelers Cycling Club look after new cyclist’s guys and gals, young and not so young and encourage you to start and enjoy cycling. Special thank you to this week’s group leader Sean Burchill, accompanied by Jonathan Moloney and Marie Hartnett. Sunday 26th June As usual all cyclists met at 8.30 Sunday morning for our training spin, what was unusual was the weather. Sunshine!! In the words of Homer Simpson “Whooo Hooo! !” It was lovely to ditch a few layers and the rain jackets for a change. There was a great turnout of club members ready for action, good to go were Liam Duggan, Willie McCarthy, Martin Lake, Paul O’Connell, David O’Connell, Stephen Hehir, Stephen O’Meara, Jerry Herbert, Owen Tobin, Brendan Houlihan, Stephen Finn, Pat “Blackie” O’Donnell, Michael Gammell and Shane O’Brien. The club were delighted to welcome Alan Dee and Kevin Barrett from Newcastlewest, a pleasure to cycle with and more than welcome to join us anytime. We had a nicely paced 70k with a few hills around Lough Gur, Glenbrohane and Ballintubber to crank up the heart rate. While shorts and short sleeves were the order of the day for most, one club member turned up in multiple layers, long bib tights and shoe covers. Bets are now being taken as to when the legs will see the light of day. Should be some sight in November!! Ring of Kerry Charity Cycle Saturday 2nd July. Our next club challenge is the 112 mile Ring of Kerry Charity Cycle. The event, now in its 28th year, is the biggest one day charity fundraising event in Munster, attracting six and a half thousand leisure cyclists who will experience a fun and rewarding day’s cycling, completing 112 miles of the spectacular Ring of Kerry, while at the same time fundraising for worthy charities. To date the Ring of Kerry Cycle has raised over €4.1 million for charity. 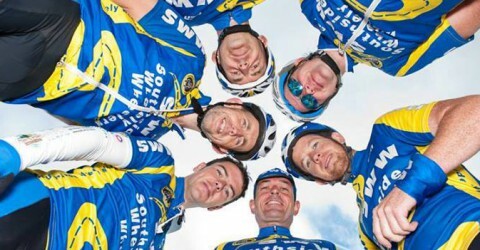 We wish our club cyclists the best of luck in Kerry. Weekly Training: Saturday at 9.30am. Sunday at 8.30am and Wednesday at 6.30pm all meet at the car park next to Kilmallock Cycles. Southside Wheely Wheelers Cycling Club members cycle the An Post Tour de Burren. An Post Tour de Burren. Congratulations to Southside Wheely Wheelers Cycling Club cyclists Sean Burchill, Ger Finn, Stephen O’Meara and Brian Hannon for completing the An Post 160k Tour de Burren Saturday 18th June. Congratulations to Willie McCarthy and Jerry Ryan who completed the An Post 100k Tour de Burren. Congratulations to Mary McCarthy and Liz Leonard who completed the An Post 60k Tour de Burren. Cycling is at its best when cycling the winding roads of north Clare taking in the beautiful Lisdoonvarna, Doolin, Lahinch, the Cliffs of Moher and cycling over the famous Corkscrew hill. The An Post Tour de Burren is renowned for its hospitality having great food at the food stops on this challenging leisure Tour de Burren. Our club cyclists enjoyed cycling the roads of Co Clare with cycling legend Sean Kelly. Well done, we are wheely proud of you all. Sunday club cycle continued Sunday morning 19th June at 8.30am. Pat O’Donnell, Stephen Finn, Brendan Houlihan, Owen Tobin, Shane O’Brien, Paul Gammell, Martin Lake, John Crowley, Dave O’Connell and Paul O’Connell enjoyed a leisurely 55km cycle in perfect cycling weather. Well done. Wednesday 15th June at 6.30pm. Wednesday training continued with great numbers wheely enjoying cycling, out getting fit and healthy were Micheal Leahy, Adrian Gammell, Edmond O’Reilly, Leslie Radcliff, Michelle Gammell, Ber Gammell, Jan Murphy, Sean Burchill, Paul Gammell, Stephen O’Meara, Jerry Herbert, Tadhg Murphy, Owen Tobin, Liam Duggan, Brian O’Shea, Stephen Finn, Brendan Houlihan, Daithi Creedon, Jonathan Moloney, Jerry Ryan, Willie McCarthy, John Crowley. Well done. Beginners / Improvers Saturday cycle continued at 9.30am Saturday 18th June with cyclists out cycling, our cycling club welcomes Liam Duggan and Brian O’Shea. 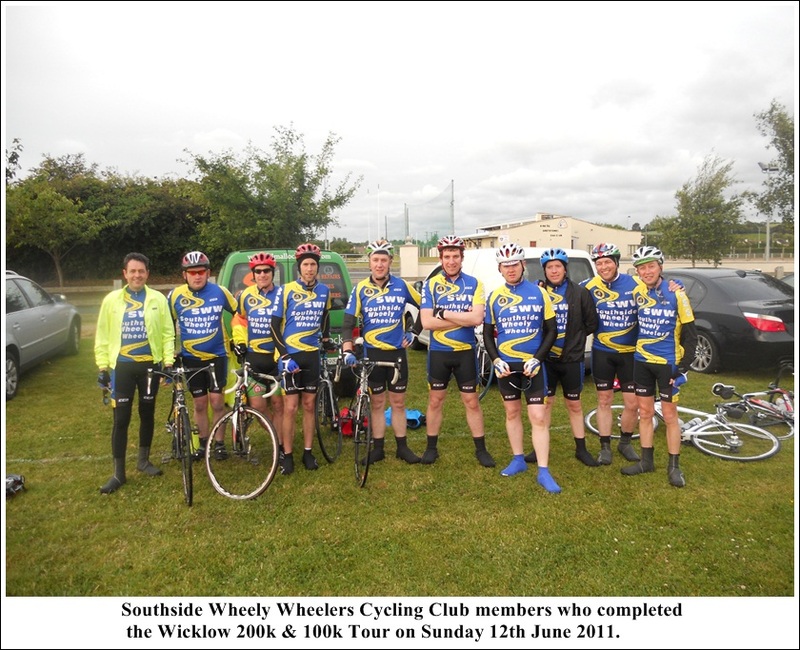 Southside Wheely Wheelers Cycling Club looks forward to new cyclists, ladies and gents starting cycling with our group. Why not get cycling this Saturday and celebrate National Bike Week and start cycling with Southside Wheely Wheelers Cycling Club, your pace will be our pace. See you Saturday. Wicklow 200k and 100k Tour 12th June 2011. 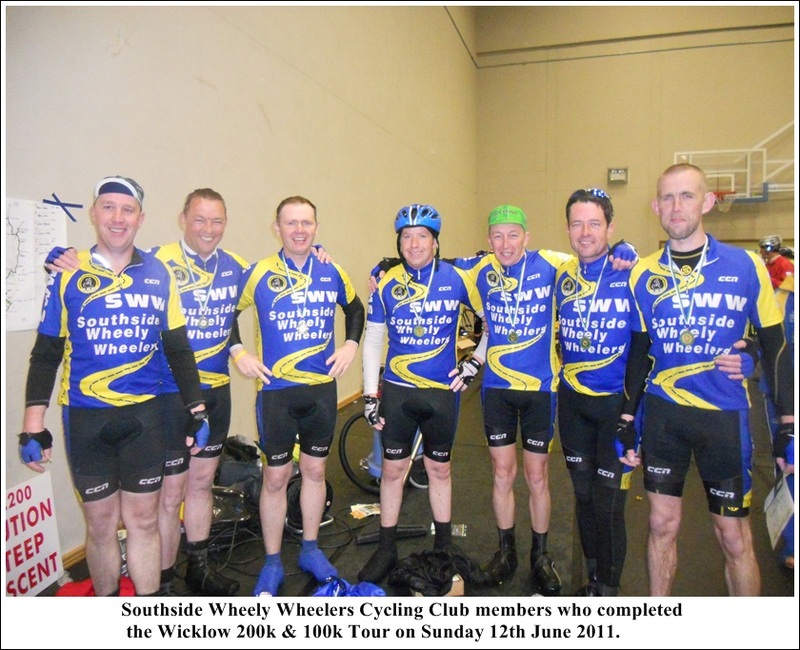 Congratulations to Southside Wheely Wheelers Cycling Club cyclists Shane O’Brien, Jerry Herbert, Pat O’Donnell, Daithi Creedon, Paul Gammell, Stephen Finn, Brendan Houlihan, Owen Tobin who completed the Wicklow 200kms and to Sean Burchill and Jerry Ryan who completed the Wicklow 100kms. This year’s Wicklow Tour has already been acknowledged as the most difficult Wicklow tour to date due to the storm force winds and horizontal rain which lasted all day on Sunday 12th June. Branches of trees were all over the roads on the mountains with gale force headwind as the riders climbed the most difficult mountains like the Sally Gap, the Shay Elliott and the Slieve Mann. The unseasonal weather conditions made descending at high speed extremely dangerous. No matter how much rain fell could dampen the enthusiasm of our club cyclists, the conversation and laugh while cycling spurred them on as they stayed together all day as one group each working at the front of the group to complete our clubs greatest achievement the Wicklow Tour. Wicklow 200k Sunday 12th June 2011. The Wicklow 200 is the toughest cycle in Ireland. It covers 200 kilometres around the roads of beautiful County Wicklow (the Garden of Ireland) and attracts over 3000 cyclists from many different countries. The route is very challenging. It includes many climbs, big and small, with some up to a height of 530 metres. . Cyclists will cycle roads that go over the toughest mountains in Ireland. The total climb is over 2000 metres so the event should not be taken lightly. To complete the Wicklow 200 successfully, it requires attention to training and preparation. Ten of our Southside Wheely Wheelers club cyclists are ready for this ultimate cycling challenge and have trained over six months for this event. The Wicklow 200 will be our new cycling clubs greatest achievement todate. We wish our club cyclists the best of luck and a safe journey. 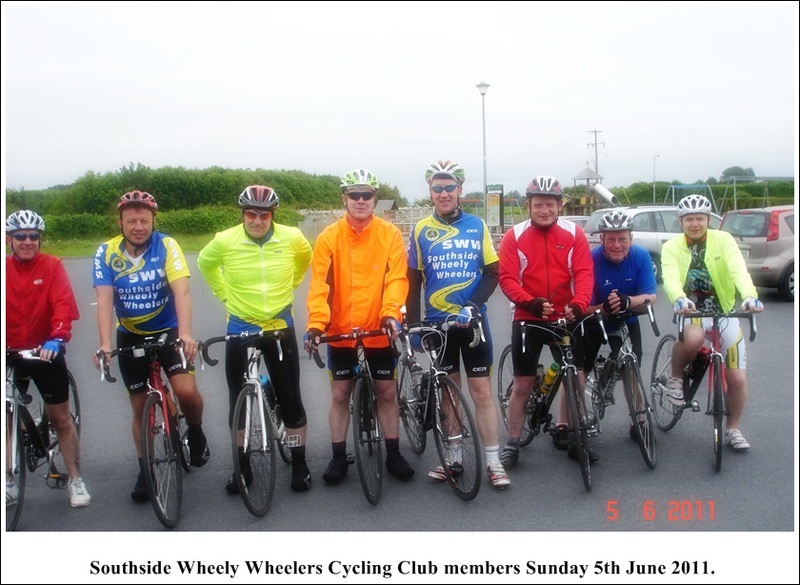 Southside Wheely Wheelers club Sunday training continued at 8.30am 5th June. Cycle on Sunday was Ardpatraick, Ballyhea, Charleville,Bruree and Kilmallock 50km nice handy pace, one group, out cycling were Pat O Donnell, Gerry Ryan, Richard Finn, Dave O Connell, John Fitzgerald, Stephen O Meara, Paul Finn, Willie McCarthy and Owen Tobin and we all had a very WHEELY good cycle. Special thank you to Pat O’Donnell for being this week’s group leader, Great job Pat. Beginners / Improvers Saturday cycle continued at 9.30am and we look forward to new cyclists, ladies and gents starting cycling with our group. See you on Saturdays at 9.30am at the car park next to Kilmallock Cycles. Wednesday 1st June at 6.30pm. Wednesday training continued with great numbers wheely enjoying cycling, out getting fit and healthy were Janette Murphy, Jerry Herbert, Sean Burchill, Daithi Creedon, Stephen Finn, Brendan Houlihan, Owen Tobin, Shane O’Brien, Michael Gammell, Tadhg Murphy, Ber Gammell, Paul Gammell. William McCarthy, Jerry Ryan, Michelle Gammell, Stephen O’Meara, Jonathan Moloney, Marie Hartnett, Richard Finn, Michael Casey, Liam Duggan.